Join the Joffe Books mailing list to be the first to hear about Faith Martin’s new JENNY STARLING series coming soon. The actual murder mystery is almost an afterthought in the continuing drama with Jake's mission to find his half-sister. The murder mystery is well-crafted but is not substantial enough to carry the whole book. Jake's quest fills in the rest of the book. I miss the earlier weightier mysteries in this series. 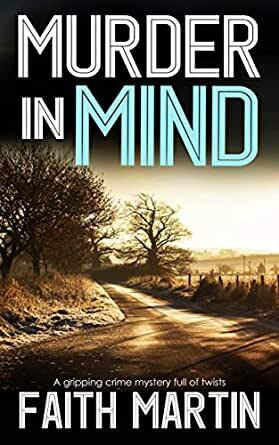 In this penultimate book in the series, the remaining plot threads are whether Jake succeeds in his mission and whether Hiliary marries again. Even these plot threads lack the tension lacks the high drama of the Janine Mallow story in the middle of the series. This book was just like all of her books amazing I did not guess who was the killer it just kept you guessing all through the book . I have bought every book by this wonderful writer written and I hope there will be many more books. If you have not read of her books please start reading then you will not be dissapointed. I love the characters, the plots, the twist at the dnd, and even the small parts if the storyline that's personal. I dont know what I'll do when this character is retired, which I believe is the next book. I guess that with only one book remaining in the series, it's nearly time to say goodbye to all the wonderful characters that I've fallen for. What a wonderful series this has been, all 16 of DI Hillary Greene. If you haven't read them all then put aside "Murder In Mind" for the time being and start at the beginning with "Murder On The Oxford Canal". Hopefully you will get as totally involved as I have! Can't wait for the final book No17. I just love Faith Martin's Hillary Greene series. I enjoy both her writing style and the credibility (a very important aspect of British crime thrillers) which allows me to immerse myself in each book. 5.0 out of 5 starsWho Done It? I love these stories. They really keep you guessing until the very last.